Perhaps we should think about the implications a little more. If we use “raw”, i.e. 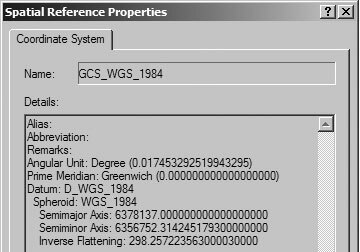 “current” WGS84, we’re really ignoring the drift and other issues. If we use any of the derived, named datums, pegged to an epoch, we lose universality. Sean Gillies chimes in with his own proposal which is a great way to get around the problem given how computer systems are so connected these days. I like simple solutions to problems.